If you’re looking for a new and easy baked fish recipe, you will love this simple Baked Fish with Tahini Sauce and Toasted Pine Nuts. The nutty tahini sauce adds the perfect amount of richness and flavor to any mild white fish from tilapia to cod to haddock. 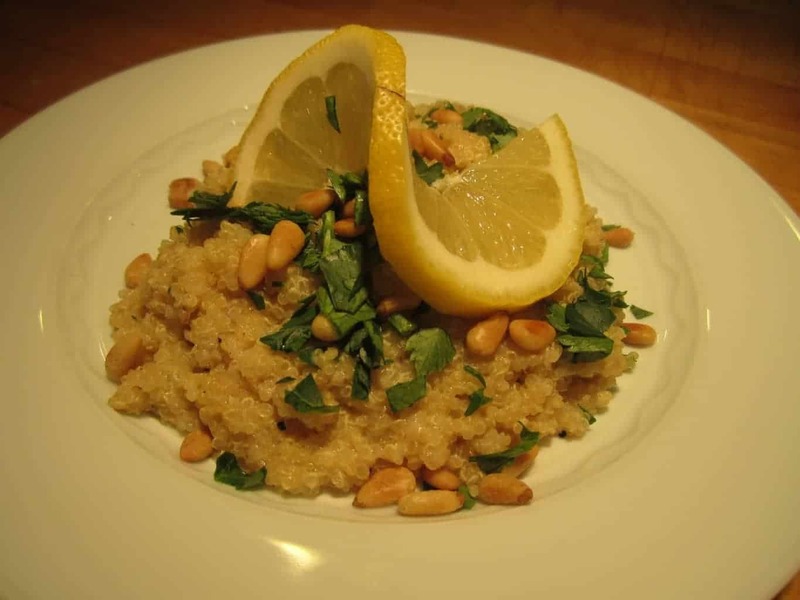 Fresh garlic and bright lemon juice wake up your taste buds and the toasted pine nuts send them over the edge. 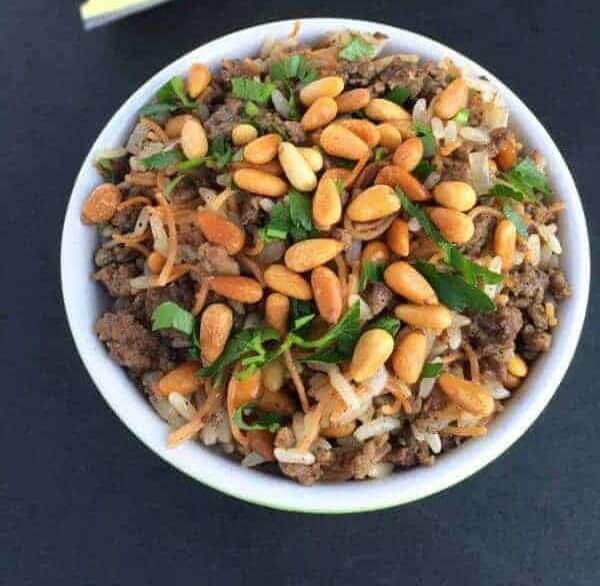 Honestly – I could eat the entire bowl of toasted pine nuts alone. Yum! I love finding new ways to use tahini. And traveling through Europe! How I wish I could zap my husband and I over there right this minute! I just died! Liz!!! This looks amazing. Seriously, Baked Fish, it’s what’s for dinner! Mmm, what a delish looking meal! I love the idea of a lemony tahini sauce on fish. Going over to check out the recipe now! It’s so simple and delish! Enjoy! Oh this looks so good. Heading over to Julia’s blog now! Thanks Katie!! I bet you’d like it!! Just the title has me drooling. Pine nuts get me every time! 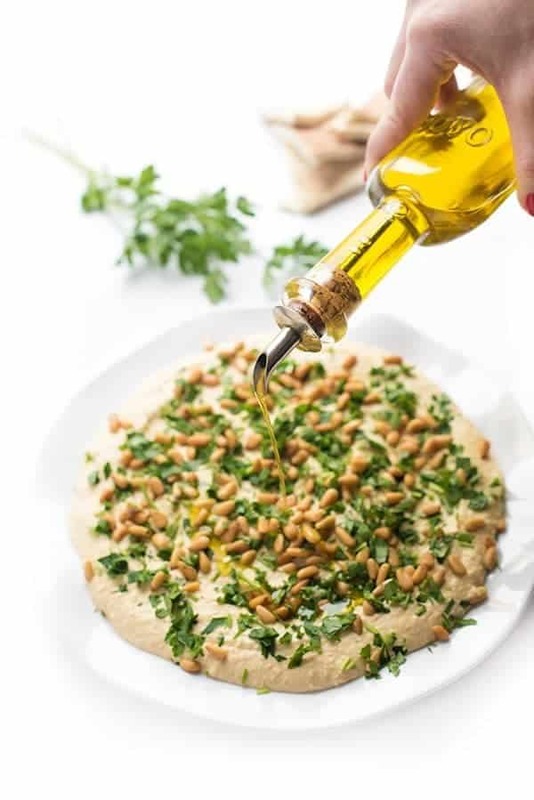 Tahini sauce and pine nuts! YUM! Heading to check out the recipe now!